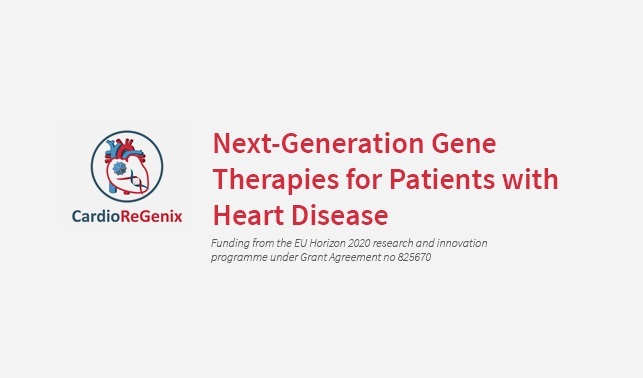 The European Union has awarded a grant of 15€ million for a research programme – CardioReGenix – to support new gene therapy approaches for the treatment of heart disease. This 5-year project is being coordinated by Professor Marinee Chuah from the Free University of Brussels and includes 13 partners from 6 countries, including Asphalion. The CardioReGenix kick-off meeting took place on 25-26th February in Belgium and was attended by Nuria Coderch, Scientific & Regulatory Affairs Director at Asphalion, and Christopher Mann, Scientific & Regulatory Affairs Associate Director at Asphalion. Within CardioReGenix, Asphalion will provide continuous regulatory support to all partners during the life of the project. Asphalion is proud to participate in the consortium and looks forward to a challenging and fruitful collaboration with all partners. The WHO estimates that over 17.7 million people die of cardiovascular disease (CVD) each year, an estimated 31% of all deaths worldwide, and the majority of people that survive heart attacks and strokes will require continuing costly clinical care. Current understanding of the cellular and molecular mechanisms of CVD and technology associated with more efficient and safer gene therapy vectors has opened new opportunities for development of next-generation Advanced Therapy Medicinal Products (ATMPs) for CVD. The aim of CardioReGenix is to develop new gene therapy treatments for CVD. This 5-year project was selected after a highly competitive international call for proposals and will involve several of the key players in the field including Vrije Universiteit Brussel (Belgium), University of Eastern Finland (Finland), A2F-Associates Limited (UK), Medizinische Hochschule Hannover (Germany), King’s College London (UK) University of Edinburgh (UK), Stichting VUMC (Nehterlands), Batavia Bioscience BV (Netherlands), Finvector OY (Finland), Cardior Pharmaceuticals GmbH (Germany), Asphalion SL (Spain), Phosjois-Savon Sairaanhoitopiirin (Finland) and Christian-Albrechts-Universitaet zu Kiel (Germany). Funding from the EU Horizon 2020 research and innovation programme under Grant Agreement no 825670 will be used to identify the best methods for transferring genes into the heart and the project will include a clinical trial of the most promising gene therapy approach.